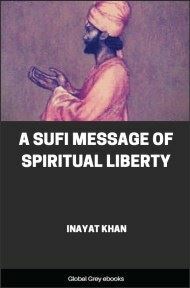 Inayat Khan wrote this short book for his friends who wanted an introduction to Sufism. 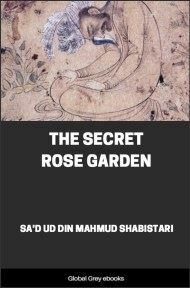 The book includes an autobiography of the author as well as information on the Sufi thought of various things, like, nature, God, the Personal Being, Dual Aspect, worship, truth, and self knowledge. 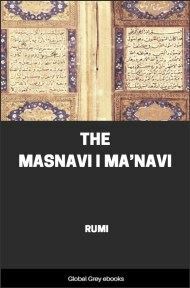 A good primer for those interested in Sufism and its concepts. Professor Inayat Khan was born in 1882 at Baroda, India. He comes of the Mashayakh (Saints) family of Punjab, where one of his ancestors, Jumasha, was canonized. Many still go to visit his tomb. Inayat’s grandfather, Moula Bux, a very holy man and the greatest musician of his age, invented the notation system for Hindu music. He inspired Inayat with his own wonderful knowledge, as it were—from soul to soul. Childhood.—He was extremely clever and sociable for his age; and being of an inquisitive nature, troubled his parents much in questioning them about the nature of things. He would ask, “ Where does God live ? How old is God ? Why should we pray to Him ? and why should we fear Him? Why should people die? And where do they go after death ? If God has created all, who was the Creator of God ? 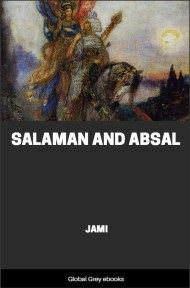 ” His father, being a very wise man, would answer the questions in the most simple way possible, but Inayat would prolong his arguments until his father* tired of his questions, told him to be quiet. He would then be silent for hours, turning the subject over in his mind. 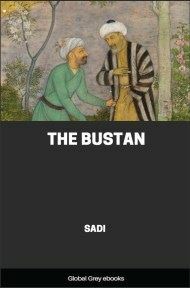 Boyhood.—Inayat grew to be affectionate and devoted to his parents. He was sent to school when quite young, and would rather be punished than pay attention to the subjects in which he had no interest. He wished only to study poetry, religion, morality, music and logic. He took music as a special subject at the Baroda Academy of Music, where he repeatedly won the first prize. 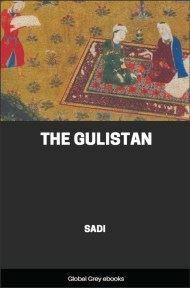 He had so much curiosity for strangers, fortune-tellers, fakirs, dervishes, spiritualists and mystics, that he would very often run away from home in search of them. His delight in poetry, music and philosophy seemed to increase every day. Instead of playing with boys of his age, he spent the time in the company of his grandfather. The lad would observe all his movements and listen to the performance of music or discussions and lectures on philosophy. He was deeply interested in the knowledge of the Rasa Shastra (the science of human nature and emotions) and asked Moula Bux to tell him something regarding it, but he refused, saying, “You are too young for this subtle subject.” Inayat had not the patience to wait until he was grown, so he found his grandfather’s manuscripts on papyrus and studied them to such good purpose that he composed a number of songs expressing the nature of men and women under various emotions in the different stages of life. He went before Moula Bux and sang them, to the amazement of all present. From that day his grandfather thought it was useless to try to control his hunger for knowledge, and sent him to study poetry under Kavi Ratnakar, the great Hindustani poet: he had a remarkable memory and never forgot stories, songs or poetry which he had once heard. H.H. The Gaelmar's Patronage.—At the age of nine years Inayat composed a prayer to Ganesh, in Sanskrit, which he sang before the Court of the Gaekwar, and was awarded the prize of a necklace and a scholarship. This patronage encouraged him to advance in poetry and music. He studied the genius of Moula Bux, and others, immediately absorbing whatever subject interested him. Religious Belief.—Inayat being born of a Muslim family, was much devoted to Mohammed and loyal to Islam. He disliked to miss even one prayer out of the five. One evening, on the roof of his house in the moonlight, he was offering his Nimaz (prayers) to Allah, the Great, when the thought came to him that though for a long time he had been praying with all devotion and humility no revelation had as yet been vouchsafed to him, and that it was not wise to worship any longer, one whom he did not see nor know. He went to his grandfather and told him he would not offer any more prayers to Allah until He was seen or known: “ There is no reason why one should follow a belief and do as his ancestors did without knowing a proper reason for it.” Moula Bux was pleased with his inquisitiveness, and after being silent for a short time, answered his question with the following couplet of Koran:— “We will show them our signs in the world and in themselves, that the truth may be manifest to them,” and said that God is seen in the world and the world in man. This explanation entered the soul of Inayat, so seriously, that from that time every moment of his life was occupied with the thought of Divine Immanence and his eyes became open to Nature as if by the sudden illumination of an electric torch, everything appearing clear in its light. Thenceforth he devoted himself to the absorption of the truth. 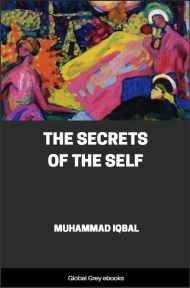 Leaves Home for the National Cause.—When his grandfather died, Inayat was in deep despair at the loss of his dearly-loved teacher and inspirer. He realised then how uncertain is this life and thought it could only be worth living if he could be of some service in the world. He appreciated the great service which Moula Bux did for India by systematising its music. At one time, music in India was regarded not only as a means for the perfecting of humanity, but also as a spiritual manifestation. Moula Bux, with his intense feeling for his art and his Nation, believed that music could only be raised from its present degeneration, by moralising it. Inayat, in utter despair, said, “ Alas! if our nation had lost only its wealth and power, it would not have been so bad, since these are always being moved from one hand to the other; but the inheritance of our race—the divine music—is also leaving us by our negligence.” He invoked the name of Sharadha, Goddess of Music, and cried for her help in this time of despair, and praying her to protect the sacred art. This idea made him leave home with the view of making an universal system for Indian music and to spread the knowledge of it abroad, He started on his first tour when eighteen years of age, travelling throughout India, visiting the most important places. He was welcomed at the Courts of Rajahs and Maharajahs, who gave him great rewards. He won the admiration of the leading public in all parts of India, receiving addresses and medals, and making innumerable friends and pupils.